To many readers this is may not be a name that you will know. However to people of North Lincolnshire and East Yorkshire he was a very well known and well respected figure from the world of Cinema – not to mention one of the most knowledgeable people about films. 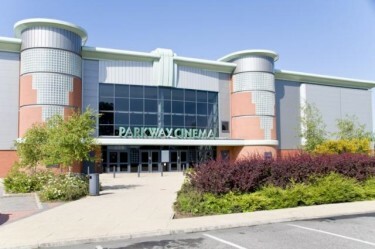 THE cinema world is mourning the death of Gerald Parkes, 69, the founder and owner of Parkway Cinemas in Cleethorpes, Lincolnshire. With the nine-screen Parkway in Cleethorpes, Lincolnshire and the three-screen Playhouse in Louth, he entertained generations of film fans. Moving tributes have been paid to the much-loved entrepreneur who always had a smile and a joke and was regarded as one of northern Lincolnshire’s greatest showmen. Only a week ago, in St Andrew’s Hospice, Grimsby, where he was cared for, Gerald was presented with the MBE in honour of his lifetime’s service to the UK cinema industry. The one-time lighting boy who put the spotlight on The Beatles in 1963 at a live show went on to become cinema company ABC’s youngest manager at The Ritz, Keighley, in Yorkshire, in 1969. Two years later he was in charge at Harrogate. It was a promotion which paved the way for a successful career in the cinema industry and led to him establishing an independent business, along with his wife of more than 40 years, Denise. In Cleethorpes, he promoted live music and comedy nights, as well as live links to grand operas and theatres throughout Europe. He welcomed comedy stars such as Alan Carr and Jason Manford and jazz performer Jamie Cullum to his stage at the Parkway. 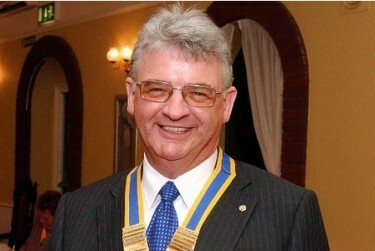 Gerald Parkes had battled with cancer for two years and died on Thursday at St Andrew’s Hospice in Grimsby. His wife Denise and two sons Gerrard and Richard were by his side. Just days before his death he was busy choosing the colour scheme for the latest refurbishment of Louth Playhouse cinema – the latest part of the £200,000 investment in the popular art deco cinema in Cannon Street. 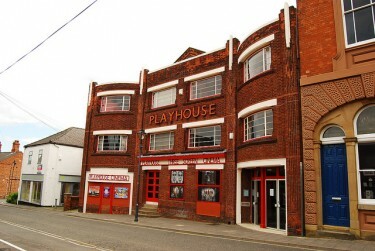 Earlier last month, The Playhouse was awarded a Louth Pride of Place award by the town’s Civic Trust. 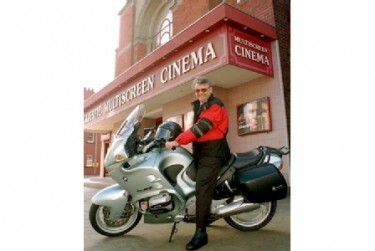 He took over the cinema in 1996, boosting audiences overnight and, having already run the Majestic Cinema in Scunthorpe, eyed the opportunity to open a multiplex cinema in Cleethorpes. This came in 2004 when the nine-screen Parkway opened after a huge building programme. It heralded a new era in cinema-going with plush seating and the latest technology in picture and sound quality. His insistence on giving all his customers the best experience possible earned him a Lifetime Achievement award in 2011, marking 50 years in the cinema industry. He was also an executive board member of the Cinema Exhibitors Association, representing independent cinemas. The Cleethorpes Parkway was awarded Best New UK Cinema in 2007. The following year Mr Parkes welcomed hundreds of supporters of When You Wish Upon A Star charity when he hosted the regional premier of the Bond movie Quantum Of Solace. Guests raised more than £10,000 at the event and the auction held later at The Beachcomber locally on Cleethorpes. He and Denise founded the Parkway Entertainment Company Ltd in 1983. The family business has grown to be one of the most successful independent cinema operations in the country, with cinemas in Cleethorpes, Louth and Barnsley, and plans for a new multiplex in Beverley. Denise said: “We are particularly proud of our team at Parkway. We couldn’t have got through without their support, and that of our family and friends. “The doctors and staff of St Andrew’s were exceptional, as Gerald said – they allowed him dignity at all times. Essential for such a proud man. Scott Marshall, managing director of Parkway Entertainment, said: “It is a massive loss to the industry. Mr Parkes strived to bring the magic of the golden age of stage and screen into the modern era. His continued drive to do this while adapting to the tastes of modern audiences shows his respect for everyone who passed through his doors. “It is my team’s responsibility to continue this legacy and maintain the high standards he set. He always said the show must go on and we will strive to carry it on and expand it. The passion of a man can move mountains…and no one was more proof of that than the late, great Gerald Parkes. His sheer enthusiasm and dedication to the cinema and film ensured that a generation has been entertained in Northern Lincolnshire. There is little doubt that if it were not for him, the successful Cleethorpes venue may have stumbled…and who else would have had the drive to keep a great little cinema going in Louth. It is clear that he loved what he did – his successful business was a by-product of his desire for the movies and the magic that came with the silver screen. The world is a poorer place when the likes of Mr Parkes are no longer with us – but we thank him for his service to us all. He passed away just days after receiving his MBE, awarded in the Queen’s New Year Honours, at Grimsby’s St Andrew’s Hospice, where he was being cared for. His death was officially announced to filmgoers this morning, who responded with a round of applause in tribute.